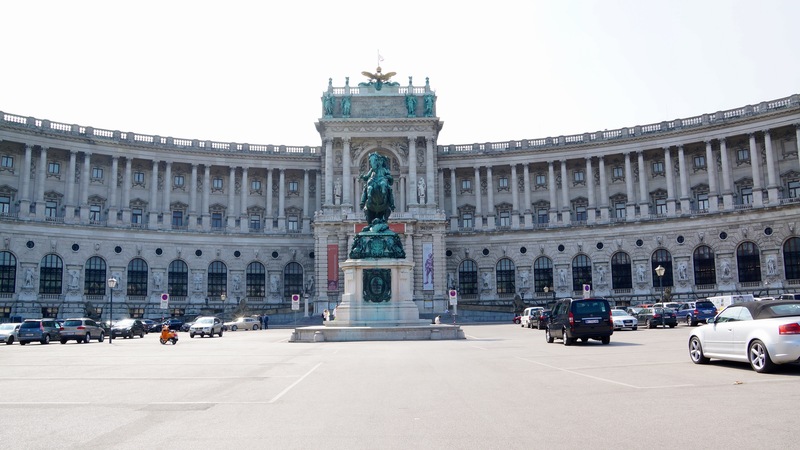 Vienna is the Capitol city of Austria, the seventh largest city in Europe, with a population of 1.7 million. How exciting to be in a big city after all these little towns and villages! 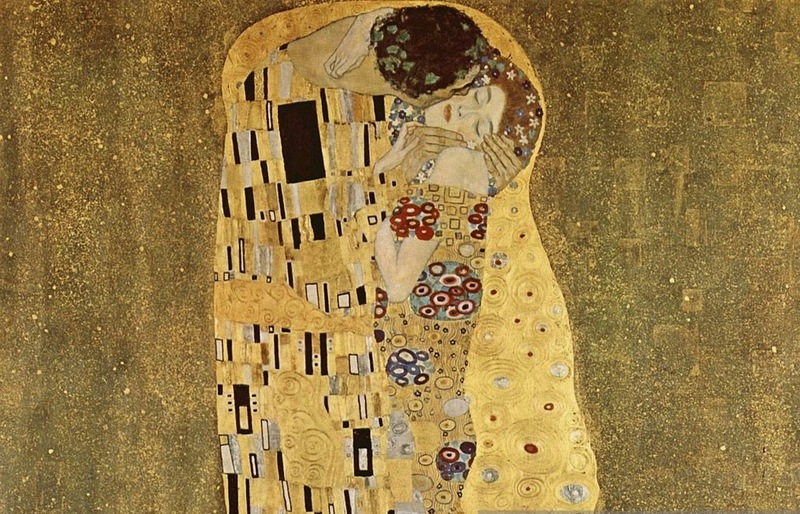 Appointed by the Holy Roman Emperor, the first Hapsburg rose to power in 1276. they ruled over Austria for over 700 years. The last Hapsburg to rule was the only female, Maria Theresia, who had 16 children, the last of the, being Marie Antoinette, who eventually married the King of France. 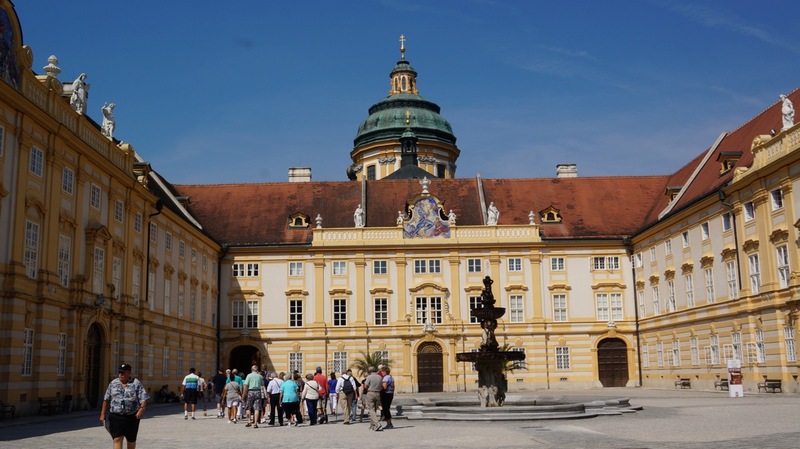 The Hofburg Palace was first built in 1279 and has been expanded over the centuries. It took so many years to complete, that the various sections of the palace are in completely different architectural designs. Formerly to house the most important monarchs of Austria, part of the palace is the official residence and workplace for the current Austrian President, while various residences for the Royal all over the city have now been converted to various museums, chapels, and libraries. Melk is a little village with an old town that’s only about two blocks long. 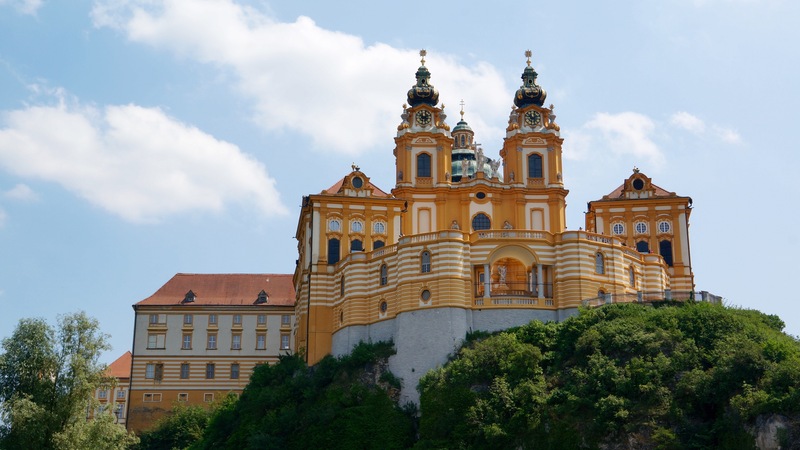 It’s main business is tourism with the jewel in their crown being the Melk Abbey, a Benedictine Monastery, at the top of the mountain. This magnificent palace was built in 1702, in an elaborate Baroque style with marble sculptures and frescoes walls adorning the interior. 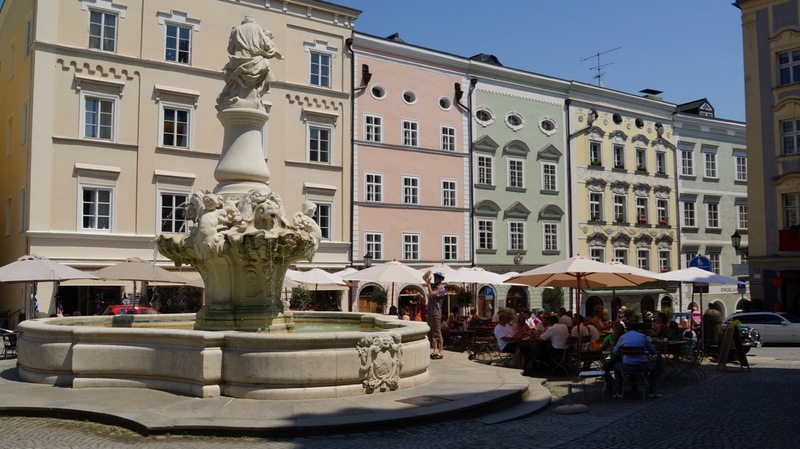 Passau is known as the City of Three Rivers because of its location on the Danube as it intersects with the Inn and IIz Rivers. The Holy Roman Empire was not centered in Rome, but actually in the Kingdom Of Germany, with many districts under the supervision of a bishop, with Prince Bishops becoming the ultimate ruler of each diocese. 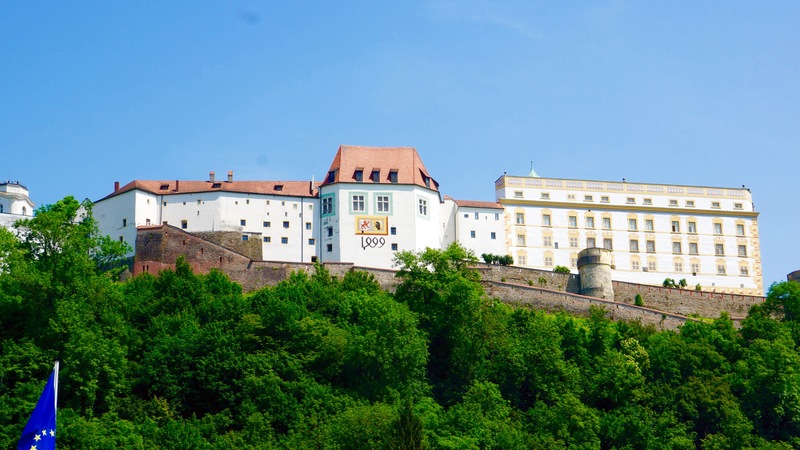 In 1219, Ulrich II, the first prince-bishop of Passau, built a fortress at the top of the hill to express the military strength of the bishop, his status as an elector of the Holy Roman Empire, and to protect against both external and internal enemies. Over time, the fortress was renovated and extended. The inscription on the side of the building refers to the year of one of those renovations. In those days, the figure that looks like a Christian fish symbol, or half of an 8, represented exactly that, which would make that date 1499. The fortress is now a museum and restaurant with an excellent view of Passau from above.